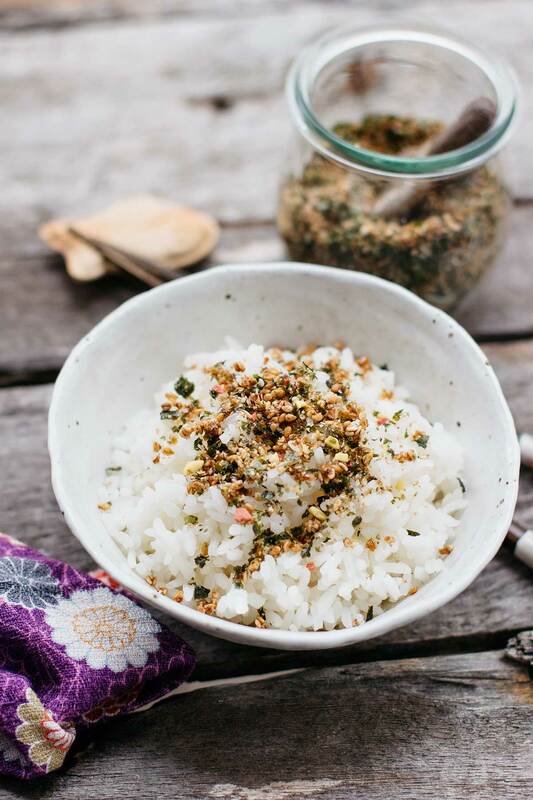 Furikake is a tasty seasoning that is sprinkled over steamed rice. Japanese children love these seasonings because it gives plain rice a delicious flavour. You can easily buy a packet of Furikake in Japan and there are many different flavours, like egg, salmon, tuna, nori, wasabi, etc. But it’s a lot of fun to make your own furikake with flavours you like. There are a few Japanese grocery stores where I live now too, but it is quite expensive compared to the price in Japan of course. So I have been thinking of making my own furikake for a while and finally made it! 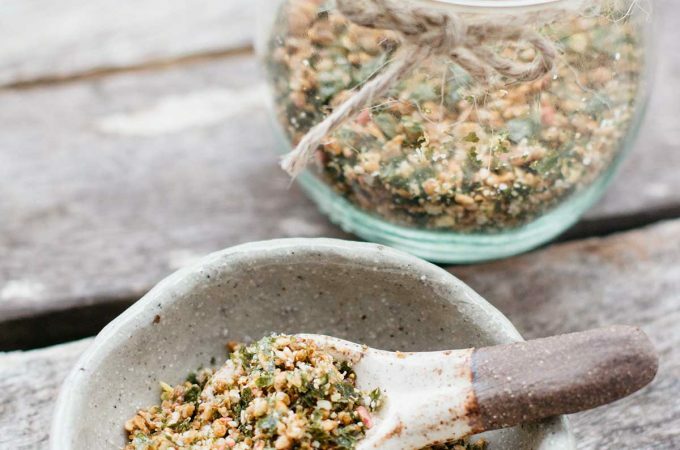 This homemade rice seasoning is so delicious. I made this furikake out of sesame seeds and nori sheets. I also wanted to make it look like the same as Furikake that you buy from stores so I added some sugar stars that you decorate baking goods such as cupcakes and muffins with. Furikake is so easy to make. 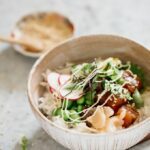 If you have ever thought plain rice is boring and bland on its own then this seasoning is a great way to add a little something extra and tasty to it! You can make it healthier by not adding the sugar stars. Instead, you could experiment with different types of seeds. I found this is a little bit like dukka. Hope you enjoy this Furikake seasoing recipe and no more boring plain rice! 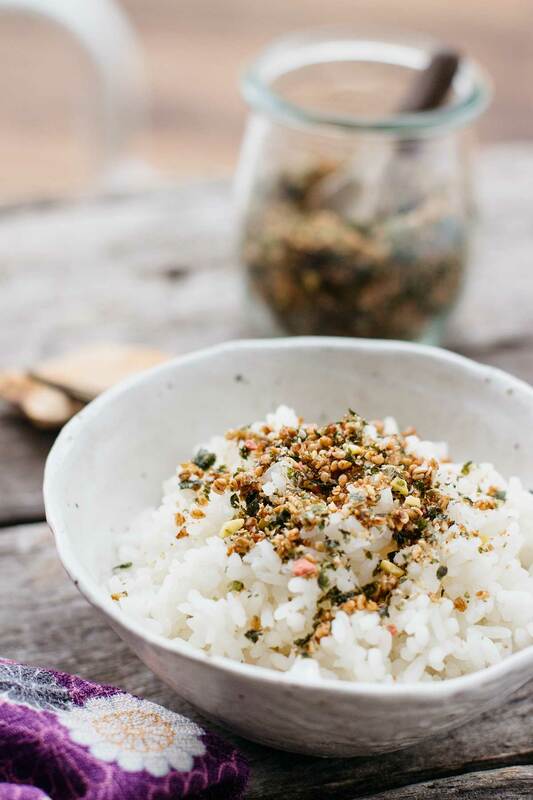 Furikake is a tasty seasoning that is sprinkled over steamed rice. It's a great way to add a little something extra and tasty to plain rice! 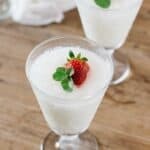 Combine the water, coconut oil, stevia, and salt in a small bowl and mix well (if the coconut oil is solid, microwave for 30 seconds). Add the sesame seeds in the bowl and combine well. Spread the mixture on a greased and papered tray and bake it for about 10 minutes or until the sesame seeds have browned (you need to keep an eye on it to make sure it doesn't burn). Take the tray out of the oven and allow it to cool down completely. 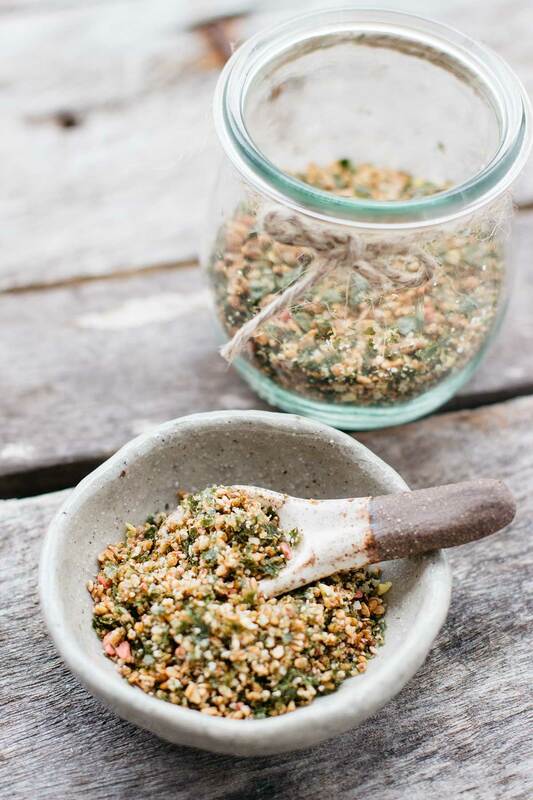 Once the sesme seeds have completely cooled down, place it in a small food processor with seaweed sheets and sugar stars and pulse them for 30 seconds. cooking time does not include cooling down time. Stevia can be replaced with same amount of sugar. This is fantastic! I love furikake, but I’ve never made my own. And homemade is always better so I can’t wait to make this! Beautiful pictures too!